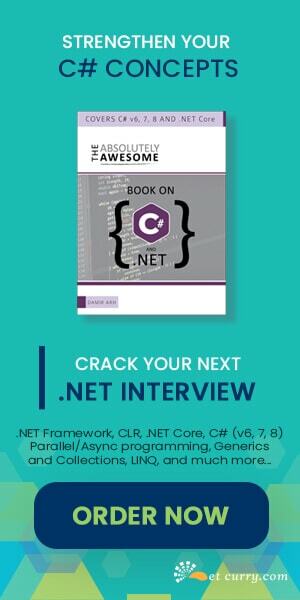 ASP.NET MVC is now a popular web development platform and often first time users have questions regards to implementation of Data Bound behavior in MVC. This is understandably because most Customers at some point have used ASP.NET Web Forms earlier and are comfortable with the event driven model that it provides. A common question is how to create an editable list of data allowing users to Edit and Save existing data. The default MVC scaffolding in Visual Studio provides us with a way to implement this where Create/Edit/Delete are implemented on the server side and each action has a separate UI. Today we will see how we can implement it using jQuery and a lightweight client side library knockout.js (also referred to as KO). For any ‘List’ of data there is a need for implementing some kind of template or repeater behavior so that we can define the UI for one row of data and the library/framework takes that template and repeats it for the entire list. We know how to do this in ASP.NET MVC using Razor syntax. Today we’ll see how implement the repeater UI using KO’s templating engine. We will also see how we can define separate templates for Display and Edit modes. With the problem statement out of the way, let’s build the application step-by-step. Step 1: Open VS2012 and create a new Empty MVC application. Name it as ‘MVC40_Editable_DataList’. On this project, right click and select Manage NuGet Package and install jQuery and KnockOut.js. Here you will get ready code with the HTTP GET|POST|PUT|DELETE methods. 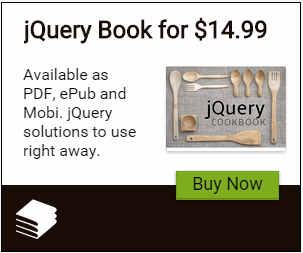 These methods will be called using jQuery ajax methods. Step 6: Generate a View from the above action method. Name it as ListData.cshtml and use the Empty template for scaffolding. We will use this view to add our code for UI, templates etc. The method ‘getrecords’ makes an ajax call to Web API and fetchs the EmployeeInfo from the server. When the Ajax call is successful the received data is the stored in the ObservableArray of name ‘Data’. To implement a nice definitive progressbar you can use this article. The ViewModel of name ‘EmpModel’, defines the ‘Emps’ entity which will store the data from ‘Data’ observableArray. The Observables - viewRecordtemplate and editRecordtemplate are declared for storing the id’s of the HTML template which we will be declaring shortly. The function, ‘EmpModel.templateDisplayed’ will be used to decide which HTML template is to be displayed when page is loaded. The function ‘empModel.Save’ is used to make an ajax call to server using WEB API to update the data. The method ‘EmpModel.resettemplate’ is used to reset the View. viewtemplate: Used to display data on the Read-Only form. This template defines HTML table with <span> tags which are bound to with the EmployeeInfo properties e.g. EmpNo, EmpName etc. This contains an Edit button. This button’s ‘click’ event is bound to an anonymous methods that passes the current record ($data) to the EmpModel.editRecordtemplate. edittemplate: Used to display data in Editable form. This template contains a table containing HTML textboxes which are bound to the EmployeeInfo properties. This template button which is bound to the ‘EmpModel.Save’ method. The Cancel button in this template is bind with the ‘EmpModel.resettemplate’. The above div tag is bind with the ‘templateDisplayed’ method defined in the EmpModel using ‘template’ binding. This method defines which template is displayed when the View is loaded. The template binding also uses ‘foreach’ parameter to the template binding. This parameter is passed with the ‘Emps’ declared in the EmpModel. Click on the ‘OK’, you will get the record Updated. If you click on Cancel button the page will be reloaded. It’s fairly easy to build MVC applications using HTTP services over Web API, that use client side databinding and templating libraries or frameworks. There are lots of them today and Knockout JS as we saw is a relatively easy one to use for templating and data binding. can't get this to run in my environment, VS Community on Windows 8.1 - same with other examples from Microsoft alumni people's demos, can't figure out the problem, i get the html but no data, so it is not crashing, just no data table output, did you not include the data?? tanks for your article, i want to refresh my news content in my website( سئو سایت)from server to clien command. how to this task posible? I have did the same steps and stuck. When I am running the application, I am getting the error as "Failed to load resource: net::ERR_CONNECTION_RESET http://localhost:1902/api/EmployeeInfoAPI" and when i clicked on this link of API i am getting "Cannot load this page"